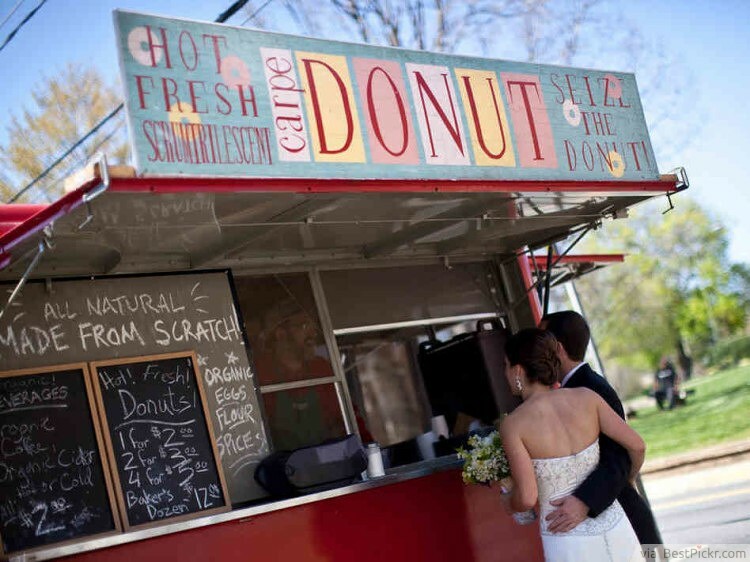 If your venue allows it, hiring a food trucks is a fantastic way of bringing food to your wedding reception! These days, food vans and trucks can serve everything from ice cream and donuts to pizzas and pies to curries and stir fries - and everything in between! This is an awesome, delicious idea which is ideal for light hearted wedding receptions which have an outdoor or fairground theme.